CHARLO – The Ninepipes Museum of Early Montana’s annual fundraiser, the Black Tie Dinner (tie optional), will be held at Allentown Restaurant at 7 p.m. Thursday, Jan. 15, 2015. The museum will be open from 5:30-6:45 p.m., and dinner guests are invited to a complimentary self-guided tour. A special treat will await everyone in the large diorama room. 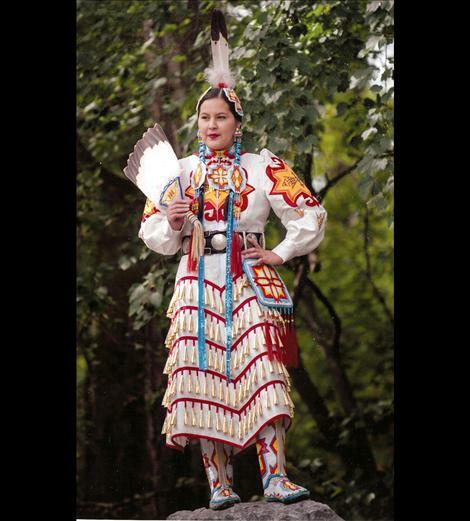 a dancer from St. Ignatius will be on hand to perform a Jingle Dress dance at 5:45 p.m. and again at 6:15 p.m. 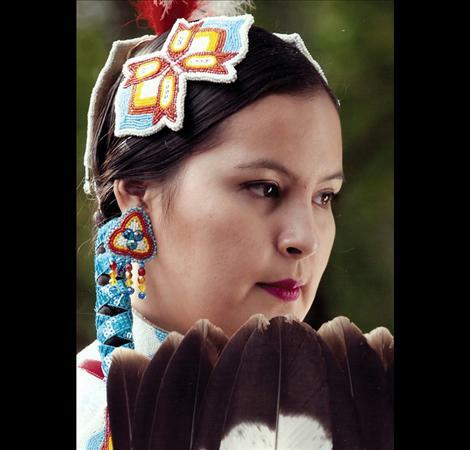 This talented young woman has been dancing most of her life, learning from her mother, Vinita Charlie (a Ninepipes Gift Shop employee), who was also a competitive dancer, and by attending countless powwows throughout Montana and the Northwest. She was named Miss Salish/Pend d’Oreille in both 2003 and 2004 and Miss Kalispell in 2005. Dancing is just one of Clara’s passions; the others being sewing and beading. She makes all her beautiful outfits and regalia. Clara’s talents have taken her to competitions in the Northwest and Central states plus Nevada and Utah, as well as British Columbia and Alberta. Now she can add China to her list. The Rocky Mountain Ballet Theatre School in Missoula invited Clara and her cousin, Kya-Rae Arthur from Arlee, to join them on a two-week cultural exchange trip in November. The group performed eight times across China, traveling by plane, train, bus and taxicabs. Clara said they visited Beijing, Zhengzhou, Nanning, and GuangXi. The featured entertainment at the 2015 event is “7UP,” one of three stories included in “The Montana Monologs.” Writer/producer Wendy Woollett from Missoula brings us the story of former St. Ignatius ranch woman Pat Shepard of the 7UP Ranch (now known as The Glory B). Musician Paul Kelley will intersperse his original music into the production, with Gretchen Spiess portraying Ms. Shepard. Woollett developed this original stage production from interviews held with Montana women who lived on ranches and had weather-beaten faces and hardened hands to show for it. Wendy’s love for Montana and all things western led her to this multi-year endeavor of preserving women’s stories and developing a format to share the rich histories of women who lived years ago. The monologues premiered in 2007, but this will be the first time the production appears in the Mission Valley.